Bar Keepers Friend is by far my favorite household product. It’s super easy to use and always gets the job done. Residents constantly ask me how we get the bottoms of our tubs so sparkly clean and I always tell them that once you try it you’ll never use anything else! 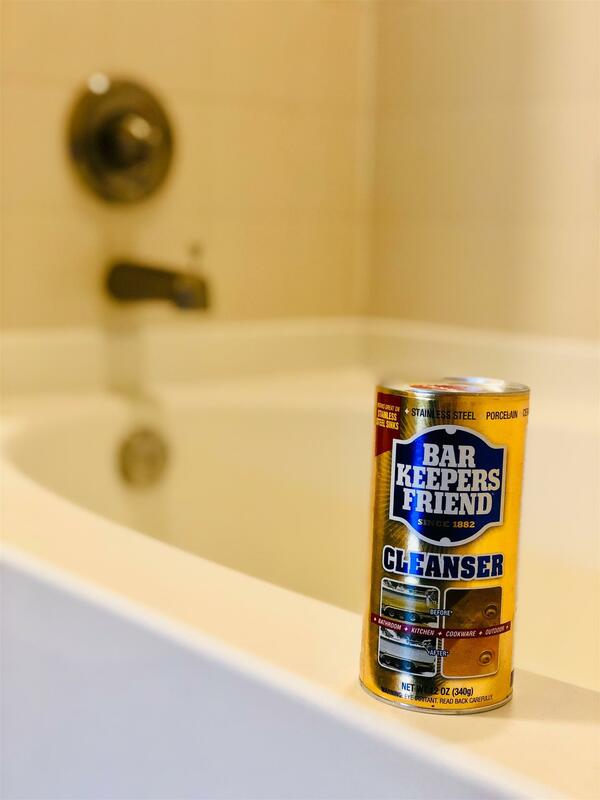 First, wet the bottom of your tub/shower then sprinkle Bar Keepers Friend powder throughout. I usually let it sit for about a minute and then use a scrub brush to help remove the grime. Within a few minutes your tub will look squeaky clean! 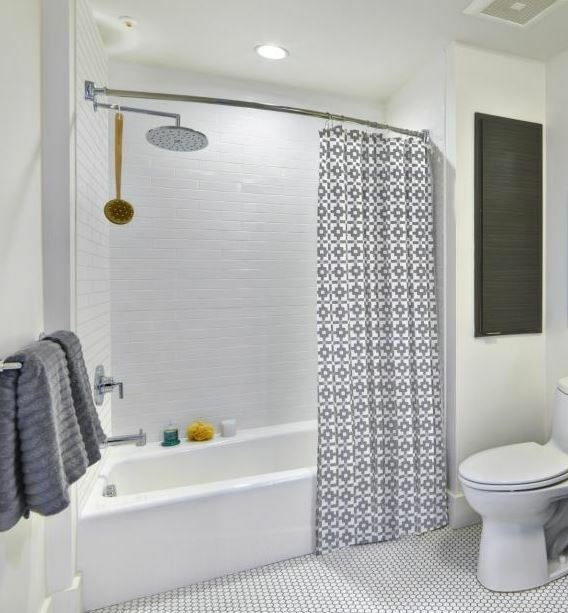 It’s hard to feel clean when you shower, and your shower curtain has that mildew smell. Whether you prefer cloth or a plastic liner, toss your shower curtain in the washer with bleach and it will come out smelling fresh and new! Vinegar is a versatile cleaning product and can be used throughout your apartment home. In your bathroom, fill a baggie with white distilled vinegar and wrap it around your shower head. Let your shower head soak for about an hour to remove all the crusty stuff. Let it soak longer if there is more build up. Pro Tip: It’s not only a great product for cleaning but it’s great for the environment as well. We know life gets busy but keeping your bathroom clean and organized can make your life feel less hectic. If you are looking for ways to de-clutter your bathroom, we have a few recommended accessories to keep you on budget as well as tips on how to organize all those beauty products. Don’t forget to subscribe to Simply Camden for other helpful cleaning tips!